A short stroll from the majestic fountain of Trevi Nanà restaurant welcomes you with the warmth and friendliness of a more southern city: Naples. 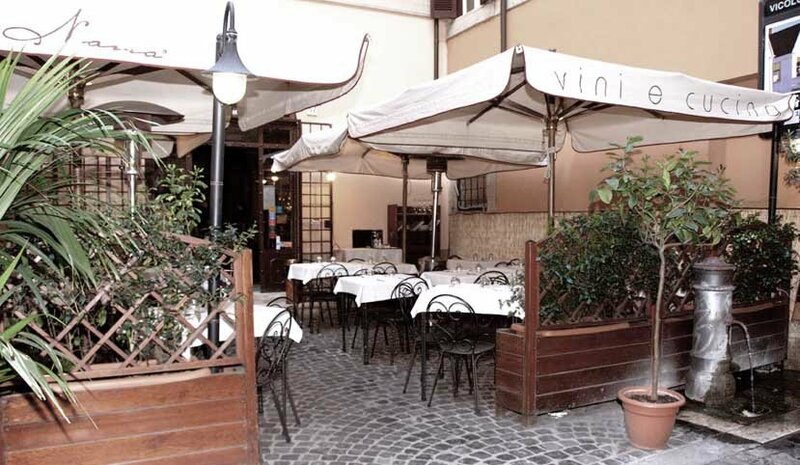 Located on Via della Panetteria, 37, this restaurant offers a lovely terrace and beautiful interiors. When you walk inside, you’ll immediately notice the kitchen and the cooks with their chef hats, as only a glass separates them from the dining room. Seeing them hard at work or just waiting around for the next order makes for an entertaining view! If you are near Trevi Nanà restaurant is a fantastic option for a rich meal made of nothing but fresh ingredients. Are you craving pizza with a thicker crust? This is definitely the place to go in the city center. This Neapolitan specialty will make you question your love for the thinner Roman style pizza. A good topic of debate around the dinner table! Aside from the pizza, Nanà offers a menu with many delicious choices. In fact, the yumminess begins a couple of minutes after you sit down and you are served a little basket with warm pizza dough based goodies fresh out of the oven. From that point on, it’s smooth sailing. The buffalo mozzarella, a speciality of Campania (Naples being the capital of this region), is absolutely worth a try. Its deliciousness is simply indescribable. Moving along, the fish is always fresh and you have a nice selection of pasta dishes. And don’t forget to check the blackboard for the menu of the day; those options are always a treat. Leave some room for dessert though… Naples is famous for its “Babà” and you’ll want to try it at Nanà! Around Rome’s historic center, stumbling inside a tourist trap can be quite easy, but near Trevi Nanà restaurant is everything but a trap. So make sure to have it somewhere on your list of places where to eat. Make sure to check out where to sleep near the Trevi Nanà restaurant here!